Here you can play (the real) Monkey Go Happy Marathon 4 for free! 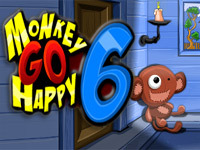 Monkey Go Happy Marathon 4 has many more levels than the previous versions – a total of 36 levels in all! 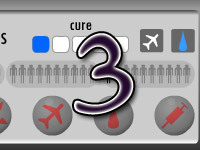 Each level gets progressively harder than the last, and ending on the hardest level of all – level 36. There are a few settings available for the user to adjust to allow the gaming experience to be more enjoyable. If you don’t care for the sound effects and music, you may mute it within the game. Additionally, if you don’t have a very good internet connection, or a poor graphics card on your computer, you may choose from 3 graphics settings: high, medium, and low.